Size 13 x 19 inches. Inspired on a trip to the Italian lakes. Each evening I would walk past this beautiful doorway on the Lake edge and feel, I had to paint it. 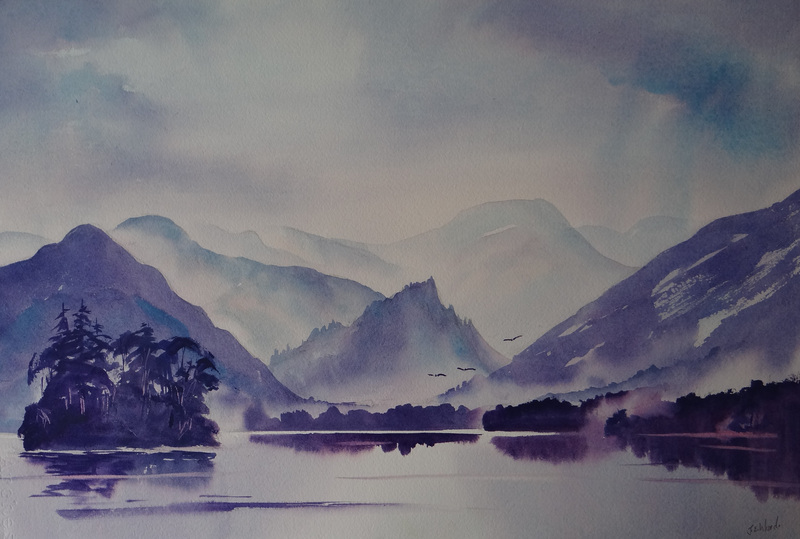 This painting is sold unframed for safe delivery. It looks great with an Ivory mount and a simple frame. in shades of Blue and Canadian Geese flying low. 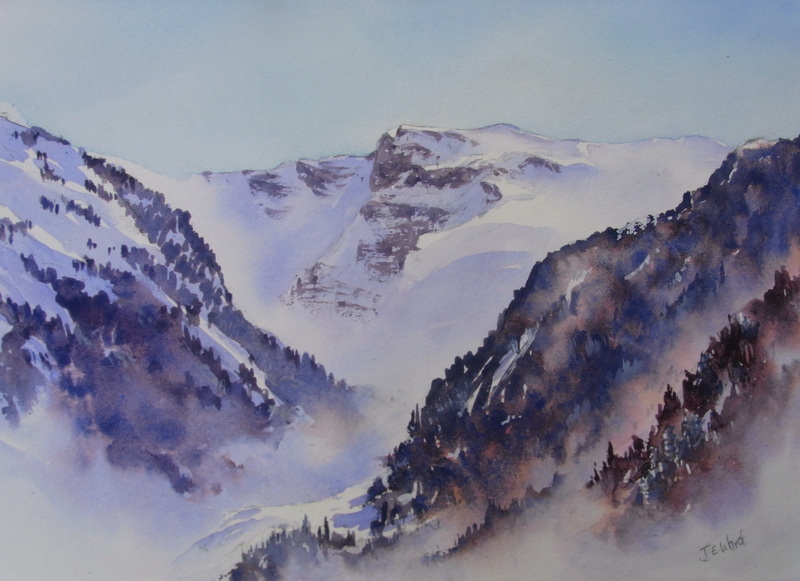 Sixt from Samoens was painted in watercolours in February. With Blue skies and fresh snow painting en- plein from the chalet terrace looking towards to high peaks of Sixt Cheval.